Roof trusses are becoming increasingly popular throughout the Baltic region, both in private and commercial buildings. A trussed rafter roof is a fully engineered structure delivering a practical and versatile roofing solution. When compared with a traditionally built roof, trussed rafters will typically deliver considerable material savings often using 40% less timber. Manufactured offsite in factory controlled conditions, roof trusses offer immense versatility. A wide variety of truss configurations allow for a huge range of different applications, such as room in the roof (Attic) trusses, raised ceiling trusses, and scissor trusses. 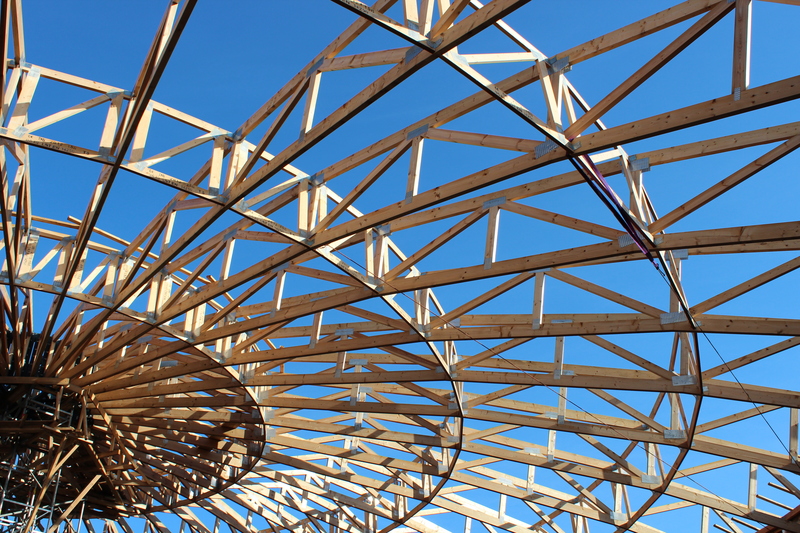 Trusses can be manufactured in a wide range of timber sections, with larger sections allowing for big spans for a variety of commercial applications. MiTek has the largest network of truss manufacturers, and when dealing with a MiTek fabricator you can be confident that you are dealing with a company using the very latest in design and engineering software, with the full backup of MiTek’s exceptionally experienced support team of technical experts.